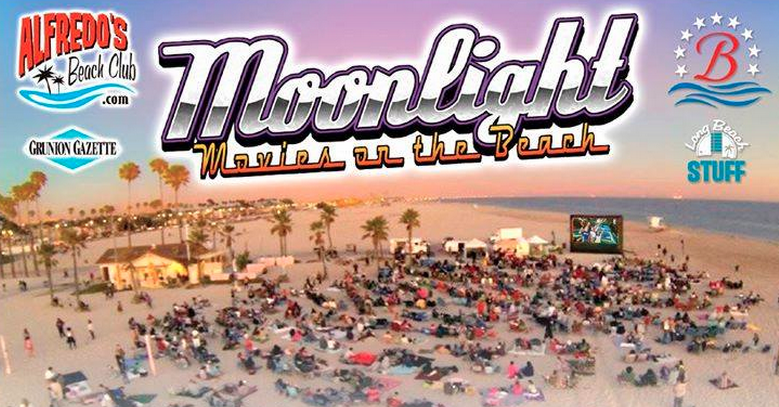 The Moonlight Movies on the Beach series takes place in Belmont Shore (Long Beach) on Granada Beach starting on June 22 with a screening of National Lampoon’s Summer Vacation. The series runs until August 27. Oh, and each screening is FREE to the public! According to one Yelp reviewer: “The picture and sound quality is pretty impressive considering that it’s outdoors on an inflatable screen by the ocean.” Overall the event is scoring a 4.5 rating on Yelp. All films start at dusk (approximately 8pm). The organizers say ‘plenty of free parking’ but when an event like this gets in demand, I would always advise showing up early and/or carpooling to help mitigate any potential headache. Visit the Alfredo’s Beach Club website for additional information on the event. Complete schedule of flicks for summer 2015 listed after the jump. Enjoy the shows! Thursday July 16 | E.T.